Current Longboard World Champ, Rachel Tilly, has loaned SHACC her Josh Martin shaped Hobie longboard and contest jersey from last year's contest held at the Jeep World Longboard Championship in China. She'll be defending her crown at the same venue, the contest window is coming up December 3 - 13, 2016. Come see her board and jersey here at SHACC! 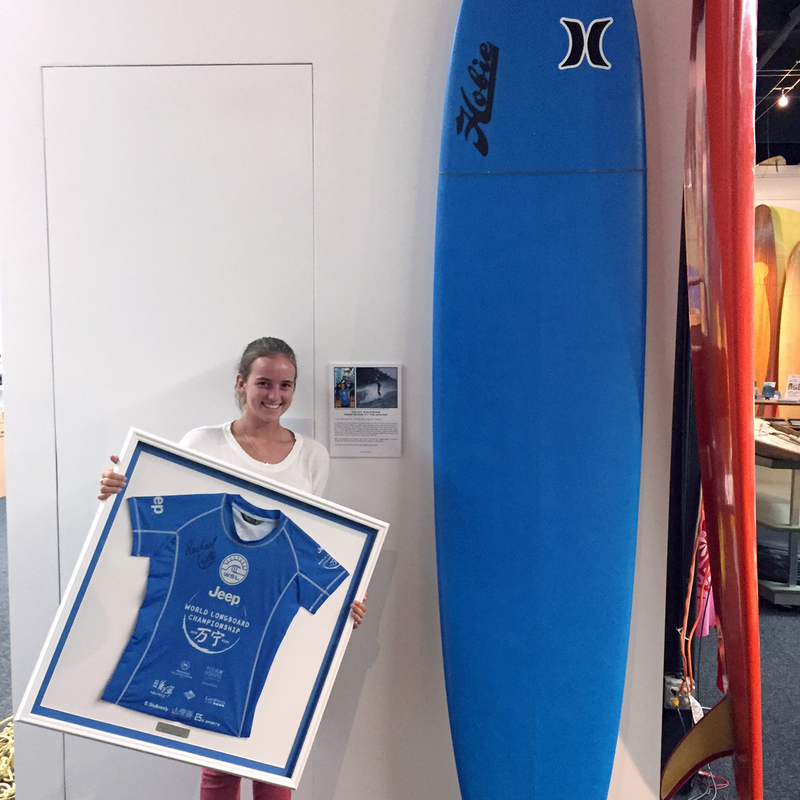 We're going to be creating a new display featuring boards from world champions like Rachel. So far we have surfboards from Kelly Slater, Andy Irons, Mick Fanning, Tom Curren, Tom Carroll, Mark Richards, Lisa Andersen, Martin Potter, Sunny Garcia, Daisy Shayne, Joyce Hoffman, Rolf Aurness, Nat Young, Felipe Pomar and Debbie Beacham.